Essay on Service Marketing: How to Sell the Invisible? Could you please answer a question how to sell a thing which you cannot see? It sounds impossible, as usually we want to be sure in what we buy. However, when we are buying a service, in fact, we are paying for a promise that someone will do something for us. Imagine that you are going to a beauty salon – first, you order a new haircut, and only in a while you can see and touch it. Actually, we live in the age of services. Do you remember when you could only go to Levi’s store and buy the pair of jeans? Now you can go to the same store where the consultant will measure you, send your measurements to a tailor and they will create the perfect pair of jeans matching all your curves, which will be sent to you by Federal Express. To learn more about this process, read this essay prepared by Crazyessay.com writers. Paying for the service rather than for a product is getting more and more common to us. Every day, we are using the services of doctors, internet providers, lawyers, hairdressers and so on. But even some companies which we have always thought to be the product ones appear to earn on services. For example, a famous giant General Electrics is earning 40% of its income on providing services rather selling its products. Or you can take Nike as an example. All of us considers this company as the one which produces the sportswear, but in fact, it only does a design, marketing and deals with sales. Therefore, Nike turns out to be the service company as well. So, how do customers decide on which service to buy? They cannot smell a good lawyer or taste a high-quality laundry. Let’s learn what it takes to buy the certain service from this marketing research. As you have already noticed, buying and selling a service is quite different from product marketing. First of all, the service does not always have a fixed price. For instance, if you would like to order a CRM system for your café, it will not cost the same as it costed to the café’s owner across the street (otherwise it might just be the same, or you might be working under the same franchise.) Also, a hairdresser does not set the same price for all the haircuts – clients have different preferences, hair lengths and types. Some specialists can first tell the approximate price only, as they do not know in advance how much efforts or materials they have to spend. The second peculiarity is mistakes of a service-provider – the customer will feel every single mistake as they participate in the process together. If the client is buying a product, they can just get a refund, but if the service has been provided, the process of returning a payment is more complicated. 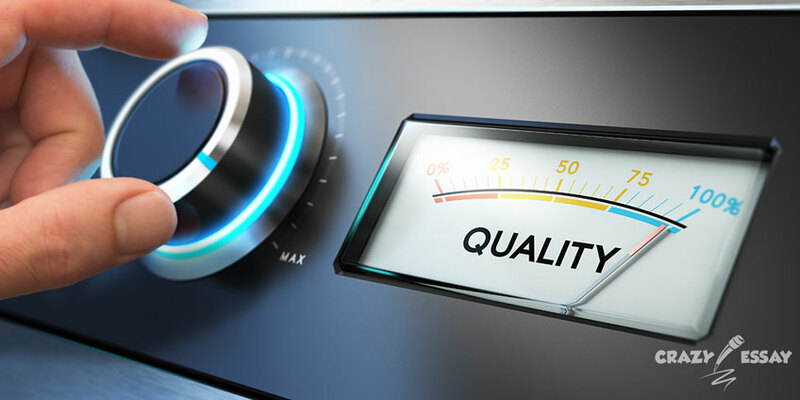 The very first step of how to make customers loyal to your service is providing a high quality. It is a core of the service itself (otherwise the person would not like getting any service.) Remember that the bad service means no service at all, which means that the customer has spent their money in vain. Make sure that you have certain guarantees – to avoid any hectic moments and arguments with demanding clients, to indicate all the details in the terms and conditions and to let the client read and agree to them before providing any kind of service. Create social media pages for your service where the customers can leave their reviews. Also, it will be a place to post different information – like events, promotions and special offers. When the person sees that the information is often updated, there are photos, videos, likes and comments from other customers, they will find your service more trustworthy. Check the independent websites for reviews. There are many resources where people can post good and bad feedbacks (in most cases, clients do not bother to say thank you, but they will surely post the negative testimonial if they are unhappy). You can say thank you to people who liked your service and offer help or a discount to those who are not content. Make sure that your website is easy to access and well-organized. It is great if you have a mobile version of it – most people are using their mobile devices to surf the internet, so this way they will have better user experience with you. Check if there are no mistakes in the textual content and all the options and sections are working well. To get more information on the service marketing, you can contact our specialists at Crazyessay.com! Rated 4.4 | 44 votes.